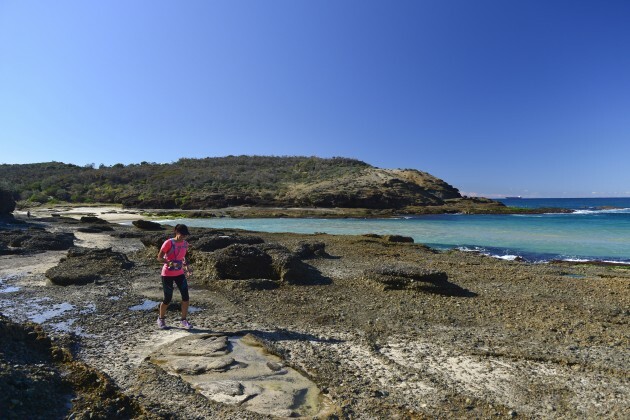 Raffertys Coastal Run is fast approaching, we hope your training has been going well and you are primed for some of the best trail running to be found anyway! As well as the run itself there is a bunch of other stuff going on to help you make a full weekend out of the event. We recommend coming up early, staying at Raffertys Resort where you will start and finish your run, joining us for the pre-race dinner, taking advantage of the Kids Club option so the little ones are looked after while you run, and grabbing some of our sweet event merchandise to remember your great day out on the trails. You can add one of our sweet limited edition Raffertys Coastal Run T-Shirts or Visors to your order if you missed out on ordering one when registering. Manufactured from our friends at ThermaTech the event T-Shirt and Visors are high quality garments that you will use again and again when out hitting the trails. Cut off for orders in 2017 is the 30th June and will be available for pick up on race day. Please note that event merchandise will not be available for sale at the event but only on pre-order. To encourage runners to bring their family along for a weekend away and to assist parents and allow both mum and dad an opportunity to participate in the Raffertys Coastal Run, Raffertys Resort are offering a “Kids Club” service again this year. Kids Club is a childcare facility for kids of all ages, offered by the resort for the duration of the event. Kids will be looked after by childcare professionals and includes a day filled with fun and activities. The cost is $35 per child (including lunch) and the service runs from 8am to 2pm. If you have already paid for the Kids Club service please head to this link HERE to complete the registration for you child or children. Accommodation is still available on race weekend at the beautiful Raffertys Resort which nestles right on the shore of Lake Macquarie and hosts the Start and Finish line. Unwind and reward yourself after completing the goal of your training. A range of accommodation options are available meaning you can easily bring the family along, and it is nice to know they will be at the Finish line cheering you home! Give Raffertys Resort a call directly on 02 4972 5555 to make a reservation. Raffertys Resort will not only be offering catering during the event they have also organised a special Pre-Race Pizza and Pasta Buffet for the Friday night as well. If you live or are staying locally, race registration will be open on Friday night from 5pm to 8pm to let you set the alarm that much later on race day. We suggest joining the event team for some last minute carb loading before the big day, grabbing your race number while you are there then you can relax knowing all you need to do on race day is run! Price is $40 for adults, $10 for children under 12, menu available HERE. Go to www.active.com and log in with your username and password. Select ‘MyEvents’ from name drop down box (top left) once logged in. Select “Raffertys Coastal Run’ and you will be able to add merchandise, book into Kids Club and reserve your spot at the Pre-Race Buffet Dinner.